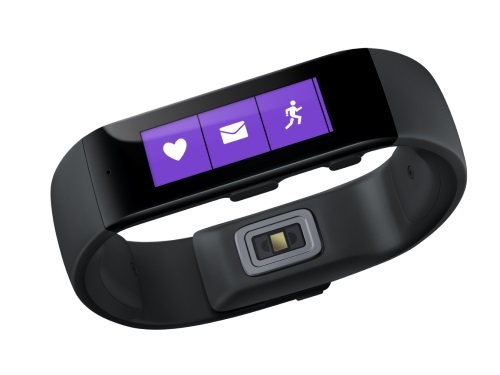 Microsoft announced on Wednesday the planned release of its own wearable fitness tracker, the Microsoft Band. The device is available for purchase on Thursday from Microsoft for $199, and will work with Android, iOS and of course Windows Phone 8.1. Among the features targeting fitness, the Microsoft Band tracks your exercise reps, calories burned, heart rate around the clock and your sleep. It also has a UV monitor built in with real-time UX information to make educated decisions on sun protection when you go out. According to Japanese newspaper Nikkei, Apple announced on Thursday at the Worldwide Developers Conference that it will be releasing a new wearable watch-like smart device as soon as this October. 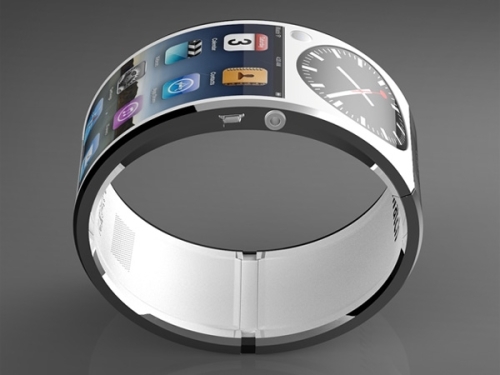 According to the report, the ‘iWatch’ will have a curved OLED touchscreen display and will be able to collect health-related data such as calories, sleep tracking, blood glucose level and blood oxygen levels and integrate with smart phones. 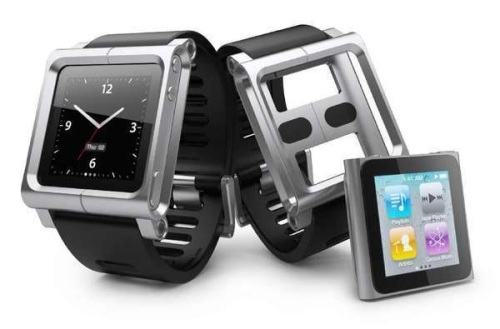 The report indicated that the smart watch from Apple will also run on iOS 8, the new operating system recently announced for the iPhone and iPad, and will be partnering with Nike, which could be marking the end for the FuelBand and all coincides with the release of a new OS in the fall along with the previously announced Health and Healthkit applications. 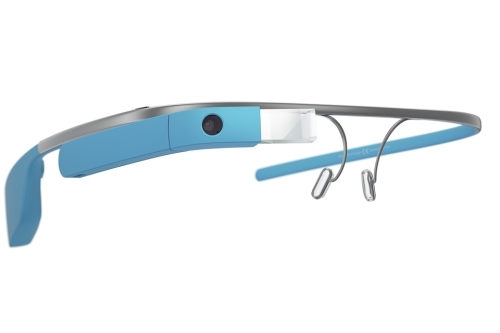 Google is offering its Google Glass Explorer edition for sale again starting on Wednesday. This is the second time Google has offered the product for sale to the public, while supplies last. Currently there is only one model in a single color being offered, and anyone can scoop them up by shelling out a spare $1500. 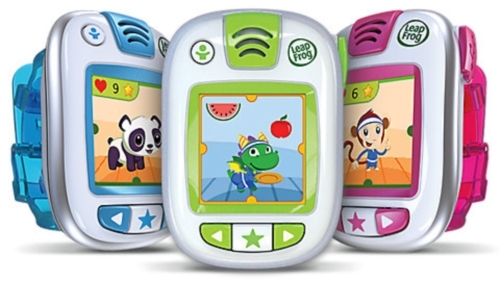 Leapfrog doesn’t want to leave anyone out of the latest wearable tech trends and has unveiled a smartwatch for kids called the LeapBand. The device is designed for children from 4-7 years old and features an activity tracker while taking care of a virtual pet. The LeapBand is water-resistant with a high-res color display, built-in accelerometer to track activity, a rechargeable battery and also has a watch in either analog or digital mode. Kids wear the smartwatch to take care of one of eight different digital pets – dog, panda, cat, monkey, robot, dragon, unicorn, or a penguin. The device encourages healthy activity using the accelerometer to track challenges giving to them such as jumping, wiggling, hopping, etc. where they earn rewards and treats to care for their pet. This may not be the One Ring to rule them all, but it could definitely allow you to have the power of controlling many devices with the flick of your finger. Logbar’s Ring is a Bluetooth device fitted with an accelerometer that is capable of recognizing finger gestures. Depending on the gestures you make, you have the ability to send texts, turn on your music, and check emails just by simply writing in the air. According to an analyst from Piper Jaffray, Apple’s next big thing might be wearable technology such as a Smart Watch pictured here. “We believe that wearable computers will ultimately be a major future trend,” said Gene Munster in a note released on Wednesday. Munster also made a number of other predictions for technology in the coming years. Aside from wearable tech he is expecting Apple to sell a TV with Siri and Facetime built in, an update the Apple TV, an Apple radio service and Retina display to the iPad mini and the MacBook Air.